The debate about which direction the coalition should contest the parliamentary elections should be encouraged with divergent views. Debates and exchange of ideas are healthy in any Democracy. The difference between dictatorship and democracy is that free flow of ideas is allowed in the later while it is threatened and shut down in the former. For the first time in 22 years, Gambians are free to debate what direction we want our country to take without anyone threatening our lives or jobs. The political playing field is widely open for superior ideas and more efficient organizing to produce better results over incompetence and lack of organization. Nations are built through free flow of ideas, innovation and citizen engagement. We encourage citizens to share their ideas, experience and skills and not shut down or label those with opposing ideas as unpatriotic or selfish. This approach only stifles the debate and suppresses the very ingredients needed to plant the seeds of Democracy and open governance. There are three competing ideas that are being floated among the coalition parties which are being debated among citizens. This is healthy and a good sign of a better democratic space. On the one hand, some parties want the coalition government to endorse an independent type of Parliament mirrored towards the presidential coalition that saw candidate Barrow elected through a selection process that was seen to provide equal opportunity for all contending candidates. The outcome of this process was not satisfactory to all parties but was deemed to be acceptable which led to the historical coalition victory and defeat of the brutal dictator. The proponents of this idea believe that the coalition government would be better served with an independent leaning majority Parliament that could support the coalition reforms agenda without too much partisan divide. 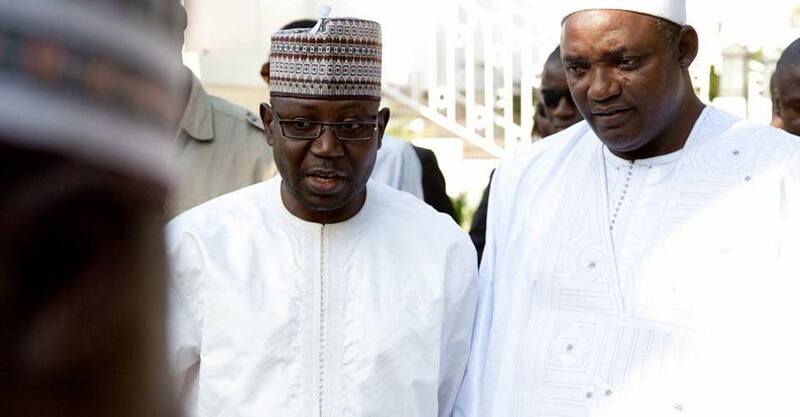 In essence, the coalition backed by an independent majority parliament will have the legislative mandate to support President Barrow and his cabinet. There are merits in this idea, but it also produces some political risk of dominant executive without the proper oversight in the legislative branch. The second idea being floated by other parties is for individual political parties in the coalition to form a tactical alliance where they will come up with some form of process to select more competent candidates to contest elections in their various constituencies where the parties are deem to have a stronger base. This process could allow good competent candidates the greater opportunity to win seats across the country thus forming a more balanced parliament. Though this appears to be an appealing idea to the average politically informed person, it too comes with a degree of risk. Since all political parties are not equal in constituent strengths, one party for example the UDP could win majority of the seats. As much as this may be true, it could balance out and constitute a stronger legislative body especially if other more experience candidates wins their seats even if one party constitute the majority. Eventually a combination of majority UDP National Assembly members alongside strong NAMS from other members of the coalition may create a more balanced legislative body. The argument from those opposed to the above idea seems to be based on fear that if one party dominates the legislative body there is nothing that could stop them from passing laws that are in favor of the party with the majority. This seems to be purely based on fear. There is no concrete evidence that this could happen. In fact with clear understanding of the executive power under Adama Barrow who is original member of the UDP, he is likely to get the support of majority UDP NAMS in Parliament. So if you weigh the likely position of the executive with a combination of a stronger parliament with divergent views, this method is very likely to produce a more balanced legislative body that could put checks and balances on the executive. The opposition to this idea is yet to fully make a stronger case against this option. There may be more reasons for the opposition to this idea not yet fully understood, so let citizens discuss the issues and fully understand the merits and concerns. Another option being floated is for individual political parties to freely contest the Parliamentary seats and put up candidates in whatever constituency they can. To many people, this idea provides far greater risk to having a more balanced legislative body. This division among the coalition parties could even give the current opposition APRC and GDC greater chance of winning more seats potentially even majority. Let’s assume for example in Jimara GDC puts up a candidate, PDOIS, NRP and UDP also puts up candidates each, the coalition will then be dividing the coalition votes and this gives GDC the chance to win that seat. Repeat the same scenario across the country and you have a greater political risk of giving the current opposition better chance of winning sizable seats in parliament. This is particularly true in more vulnerable areas such as Serekunda where more politically savvy candidates like Halifa might easily lose that seat to a less competent person (2006 elections). It is an absolute fact that some of these coalition candidates are better served with fewer contestants through tactical alliance than a crowded field. In essence these options both have merits and risks to the coalition government. However, the biggest elephant in the room that everyone tends to ignore is not who forms the majority in the legislative body but how competent and independent the National Assembly could be to serve as a competent legislative branch that can oversee reforms and hold the executive power to check. Historically this has not happened in the Gambia. Parliament has always been a rubber stamping body dating back to the PPP. Yes, debates were held, opposition candidates challenge bills but ultimately they all came to pass with majority of members who are often aligned with the party in power. A coalition government with a coalition majority parliament is likely to produce the same rubber stamping parliament. How do you prevent this from ever reoccurring again in Gambia?. So in my humble opinion, the biggest threat to political, judicial and constitutional reforms is not a divided coalition but rather an incompetent rubber stamping legislative body. It is very likely that regardless of who dominates the house, President Barrow is likely to get his agendas through the legislative body without much opposition. In that case, Gambians will have to rely on the integrity and commitment of President Barrow to see through the necessary institutional reforms Gambians have been fighting to see in the Gambia. So in effect, Gambians are better served with a more balance parliament which has a mixture of young and experience legislators who can see strong institutional reforms to strengthen our Democracy. What option then can yield us this results where you have seasoned members and more younger and innovative individuals serving together to fulfill the purpose of the legislative branch?. This should be the central focus on any method Gambians should support. Let the debate continue and let the coalition get together and discuss the merits and risks of these options. Eventually Gambians are optimistic that things will never be the same again… Let the ideas flow for a better New Gambia and our partisan politics should stop where it conflicts with our national interest!! !